That's me yelling at my Kindle because I'm re-reading an overused word in a New York Times best-selling book by a best-selling author. That's me yelling again because said writer should know better ... even if the rules don't apply to him because he's uber famous and can do what he wants. But, I -- the reader -- noticed! I saw the repeated words. And I'm annoyed. Readers read to get away; to dive into the book and enjoy; to escape-- not to question the author's choice of words. Okay, let me open up here. 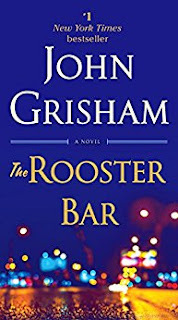 The book is John Grisham's latest thriller, The Rooster Bar. Per usual, it's a great read, is super easy to get into, and has awesome, three-dimensional characters (even though you could swap characters from book to book and it would work seamlessly). But, the word he over used is: evidently. This word can be perfect to use. Say, once every other chapter, if needed. But it's one of those adverbs that shouldn't be overused because it's more unusual. Wait, adverbs should be avoided anyway! It's a rule in writing because as we know, adverbs weaken the text. It's one of those rules in place for a big reason: the text sounds fake and forced when this rule is repeatedly (adverb) broken. I began to notice it when it showed up practically (adverb) every third page. And I really (adverb) noticed when he placed it twice within three sentences. I know. Editors and writers are human. They miss words, miss spelling, miss punctuation. But, when is this many adverbs ever a good idea? 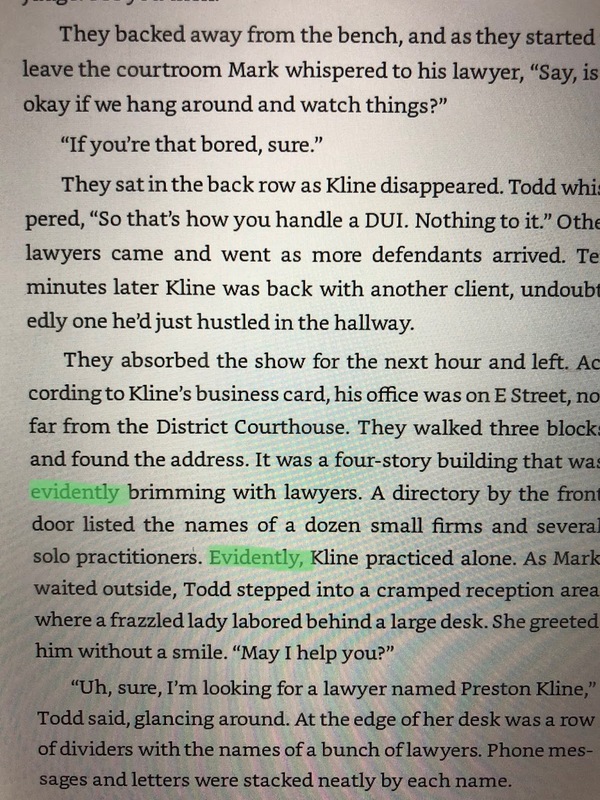 Adverbs for authors = bad. 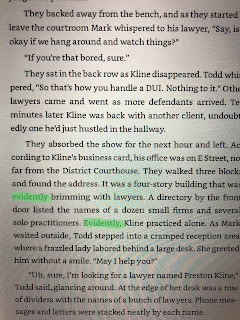 Two adverbs within a stone's throw of each other = extra bad. I love Grisham's writing. He is a phenomenal story teller. I just wanted to read this work without noting, "Oh, he used that same word again." He and his editors are far better than what they're showing us. So, writers out there, use your thesauruses, use your dictionaries: find alternative words. Now, go read the book! You'll love it.